Radio is a cultural stalwart. It has outlasted its naysayers. When television came along people thought radio would disappear. It survived. 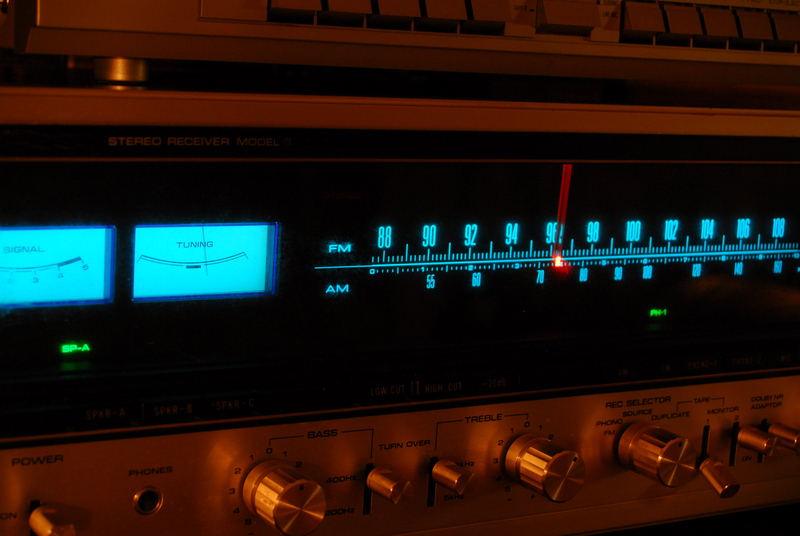 As the internet rose to prominence, people tried to knock radio once again. It survived. Listeners can now find their favorite radio stations in the car, on the computer, and even on their phones. Radio has diversified itself as it has grown, and public radio stations are no exceptions. Public radio provides free and easy to access news and entertainment at both the local and national levels. Busy people are forced to multi-task. With public radio, a listener can hear the news on the drive home from work. She can hear the weather forecast while sending an email. She can hear a movie review while jogging. It is surprising given the amount of quality content public radio stations produce, but they rely on donations for a bulk of their funding. Public radio stations need donations to survive, and prospect research will provide those stations with necessary fundraising support. Running a radio station is expensive! Corporate sponsorship can only take a station so far. Donations, both big and small, are the fuel that keeps stations broadcasting. While contributions of all sizes are wanted and welcomed, major gifts are the premium fuel. A few major gifts can make the difference between a successful or unsuccessful fundraising campaign. Prospect research reaches into a listener pool and hunts for those high-value donors. Stations are providing a public service. Listeners know this and are willing to give to keep that service around. Radio stations have a massive reach. Much more so than most nonprofits, radio stations have a built in campaign marketing platform. Due to this reach, stations’ lists of potential donors is much larger than an average fund-seeking organization. The main goal for radio station fundraising is converting listeners into donors. This differs from other nonprofits that are seeking to attract new prospects. Stations have built in prospects. Most radio stations have an annual fund or pledge drive that they do once per year or quarter. Prospect research can take those donors and pick out who could be upgraded major gift level. Both of these segments have a proven interest in the station. Loyalty will play a major role in a donor’s willingness to increase funding. A proper wealth and philanthropy screening of both of those segments can reveal key details for fundraising staff. Maybe one of the loyal pledge drive donors has donated a major gift to a local community focused charity. That donor clearly has the capacity to donate, an interest in serving the community–which public radio does, and a connection to your radio station. Armed with this knowledge, one of your fundraisers can approach this donor from a good angle and secure a sought after donation. Board members are great to investigate because of both their own potential giving capacities and their relationships to other sources of funding. One of your board members might work or socialize with a major charitable contributor in your area. If your development team knows about that relationship, they can ask the board member to provide an introduction to the new prospect. “Who you know” is a key component of fundraising. Prospect screening takes those “who you know” and turns them into “people you know well.” Knowledge is power. Right? Which option you choose will be determined by budget, resources, and how much data you’re looking for. It is fairly typical for larger public radio stations to employ an entire prospect research team that works in house, but incorporates the tools from a prospect screening company. Once you are ready to screen, you’ll want to devise a logical calendar of how often you should perform this research throughout the year. Perform a bulk screening a certain number of times per year in conjunction with your pledge drive. This enables your fundraisers to focus on small donations during the pledge season and then focus on major donors during the off times. Make use of a prospect research online tool to stay current on specific prospects. It can be something fundraisers check before going out for coffee or jumping on a call with a donor. Screening should occur concurrently with your pledge drives. Screen daily during the pledge season. DonorSearch offers a service called Live Audience Analytics , which provides a quick turnaround for radio stations. At the very, least radio stations should perform prospect research once a year. Prospect research can seem overwhelming at first glance, but it is immensely beneficial. Give your fundraisers all they help they can get. Try a demo of the DonorSearch software to get a feel for how prospect research would fit into your station’s fundraising!